Escadaria Selarón - most beautiful stairway in the world! 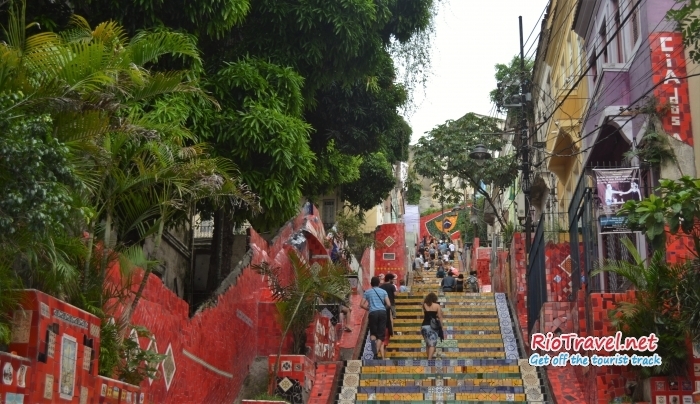 Escadaria Selarón is the most colorful and eye-catching attraction of Rio de Janeiro. 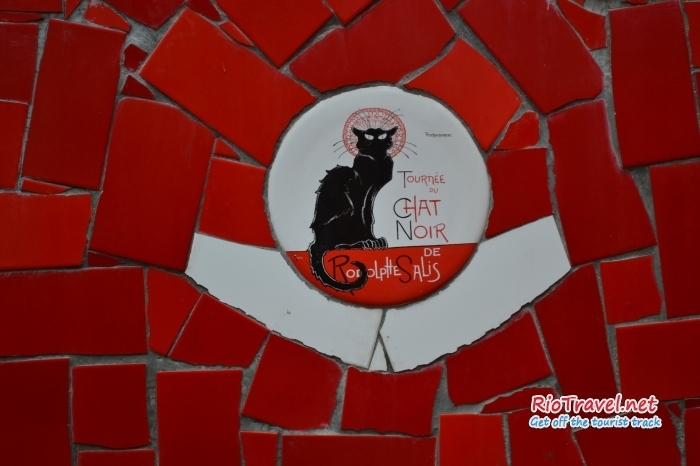 It is also for sure the favorite place for taking pictures both among tourists and locals. Whatever time of the day you visit Selaron stairs, it is always crowded with people moving up and down with their cameras and phones, their eyes sparkling with excitement. The most unbelievable fact about this huge work of art is that it was created just by one person - Chilean artist Jorge Selarón, who had traveled to more than 57 countries in the world, but settled down in Rio and dedicated 20 years to designing his so-called "tribute to the Brazilian people". Selarón stairs are the most beautiful set of stairs in the world. 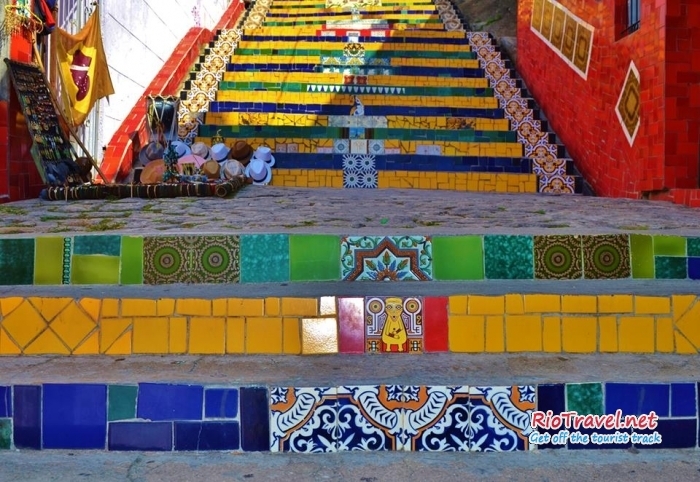 215 steps, all covered in ceramic tiles from all around the world. It is like a colorful art museum. 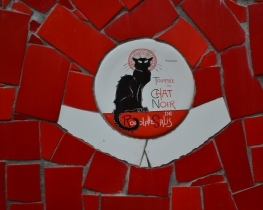 You can visit it hundred times but still find new interesting artwork among the over 2000 tiles, covering the 125 meter stretch of stairs. 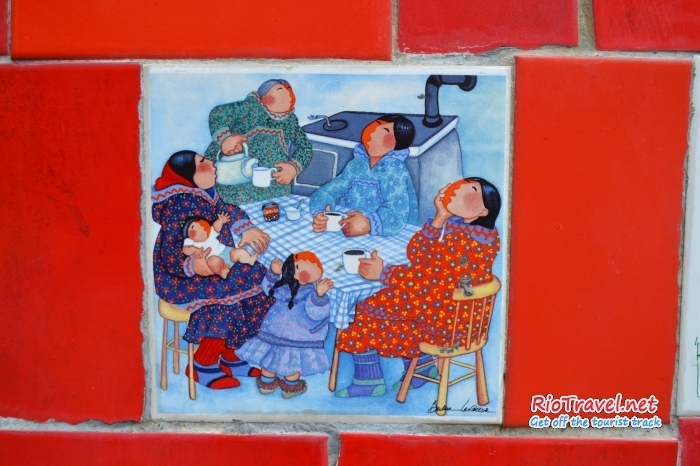 While climbing up you will be constantly forced to stop by the intriguing and beautiful miniature pictures on the tiles. Selarón stairs can be joyed on two levels – impressive view as a whole, or a detailed view of the individual tiles. I applaud Jorge Selarón for giving this gift to the city of Rio! 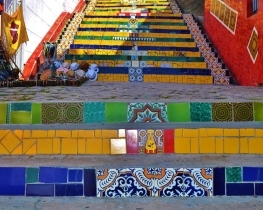 Selaron stairs are named after its creator Jorge Selarón, Chilean painter and sculptor. Before 1990 they were just ordinary street stairs in a poor neighborhood. Jorge Selarón devoted more than 20 years of his life (from 1990 till the end of his life in 2013) to converting these stairs into the biggest masterpiece of the wonderful city. 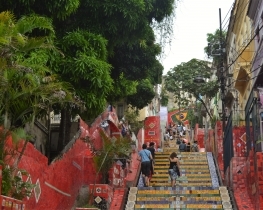 Escadaria Selarón is one of the symbols of Rio de Janeiro. If you haven't seen this landmark, your trip to Rio is incomplete. Definitely take a camera with you. 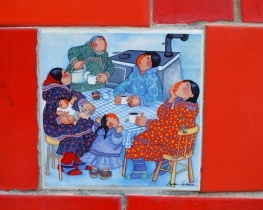 You can also order your picture printed on a ceramic tile in one of the ateliers near the stairs. Be careful, especially in the evening. The neighborhood is not safe.